Back before Apple introduced the iPad, Apple commentators and fans alike pondered what a touchscreen Mac could look like. As it turned out, we never did get that touchscreen laptop but that has never stopped people from wondering what might have been or, sometimes, creating some amazing concepts showing us what we are missing. The iPad is great, and we love it, but there’s something about the thought of a shiny MacBook Pro that we can poke that gets us excited. The same goes for Swiss site HandyAbovergleich, with a new concept design being the result of yet more touchy-Mac hankering. 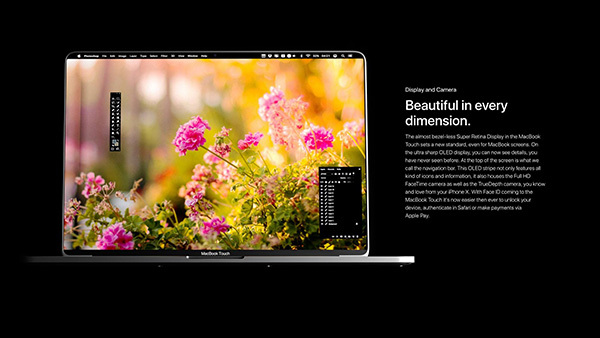 While Apple has confirmed that it too thought about building a Mac with a touchscreen, Phil Schiller says that after trying it out, the decision was made that it simply was not the way to go. 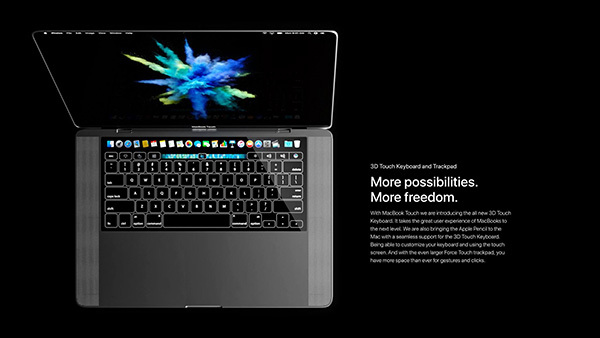 Following the launch of the MacBook Pro with Touch Bar, Apple blurred the lines a little by giving us a Mac with a touchscreen slapped above the keyboard, and HandyAbovergleich goes a step further with its MacBook Touch concept that integrates both a touchscreen display and a traditional keyboard. The focus is clearly on the completely new display and the touch screen on the bottom, which replaces the keyboard. 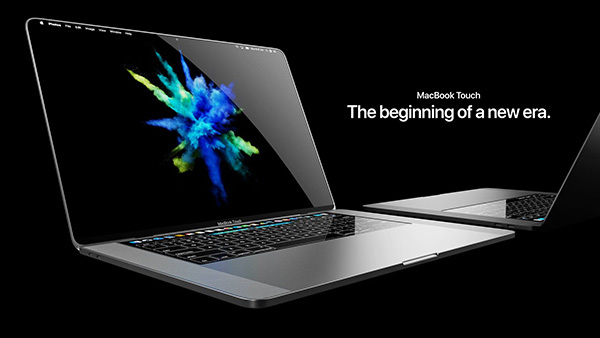 It creates a completely new and extremely modern-looking MacBook , but still looks like one and does not lose the character of the popular Apple computer. It can be considered the next generation MacBook Pro Retina 2016. 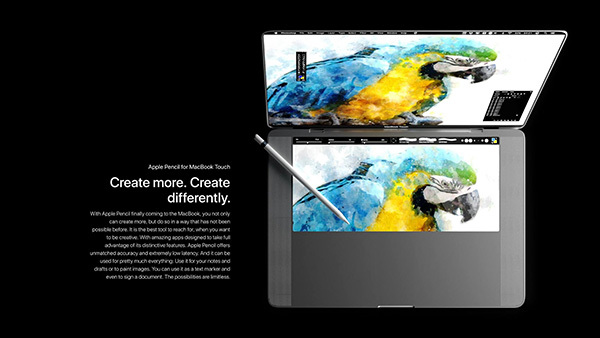 Featuring a 17-inch display that also supports the Apple Pencil, the concept is one gorgeous looking MacBook, complete with a trackpad that we could actually imagine Apple adding to the MacBook Pro at some point. We are still far from sure about the idea of macOS and touch, but as far as just looking at the thing goes, this MacBook Touch concept is a winner. Just don’t expect Jony Ive to agree. Must sell kidney for buying this . If Apple made such a product I might consider return back to the fold. But concepts are concepts. Apple on the other hand… well, it’d be easier to build a snowman in hell.